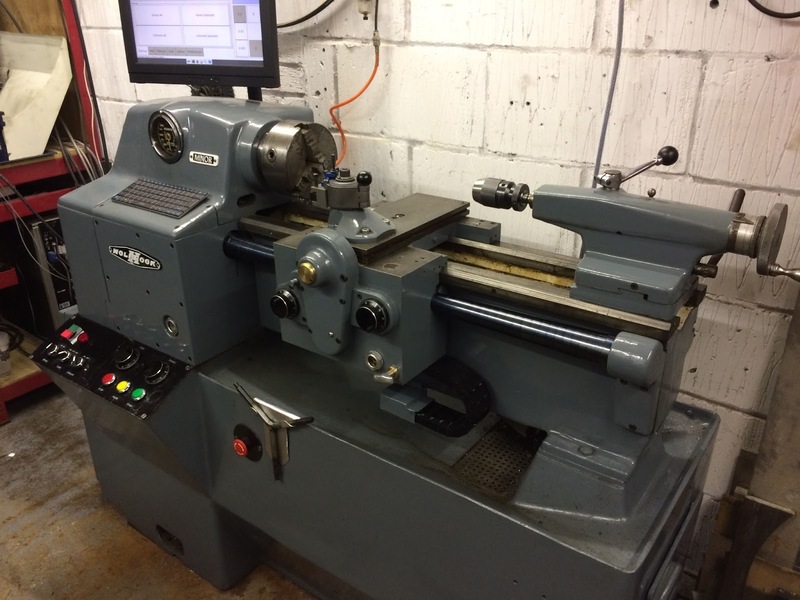 I have converted a Holbrook Minor lathe to CNC. (as a partner to my CNC-converted Harrision milling machine). I attempted to do the conversion as I imagined Holbrook themselves might have done it, and also in such a way that the lathe could be returned to manual operation if anyone wanted to (But that is no longer likely, as I have given away all the removed parts). It became largely an exercise in pattern-making. I documented the process in this series of blog posts. ... and a CNCconversion that apparently does it justice. BTW, the text shown in the link differs from the page address it takes you to.